A roaming millennial who came back to Vietnam after several years studying aboard in California, United States, I sometimes get confused of who I am and what I’m supposed to do. My family and family friends keep asking me about my marriage plan despite my affirmation that I have none. Still having to figure out how I want to deal with my life, I think of marriage as both a burden and a responsibility I’m currently unable to bear or commit. Besides, an answer to different forms of “How much is your salary?” is also what my family and perhaps almost everyone I know here always press on me. I can’t help but feel overwhelmed by the expectations implied in those daily conversations. However, in spite of my suspicion that it’s only me that has to deal with the idea of marrying to a well-off man and a well-paid job, I found out other women of my age are also going through this milestone in their passage to modern womanhood. So, I headed out to collect personal stories of the women who were born in the 1990s to hopefully have some insights of our generation. Like others who were born in this decade, we are the dubbed Generation 9X of Vietnam. Born at the time Vietnam’s 1986 đổi mới policy was already in place and rolling, we enjoy descriptives like ‘independent’, ‘open to change’, and ‘technologically savvy’. However unlike our men counterparts, 9X women also enjoy, and abhor, being career women as well as women of the family. Surely, each individual has his or her personal experience. The women that I have talked to about this topic until now are all university educated, so this particular story is specific in itself. Yet some patterns have emerged and can be useful to think of the new generation of Vietnamese women. Lam Nguyen*, 25, sets time off for traveling, cooking, books and German classes right after she finishes her pediatrics degree at one of the top universities in HCMC. 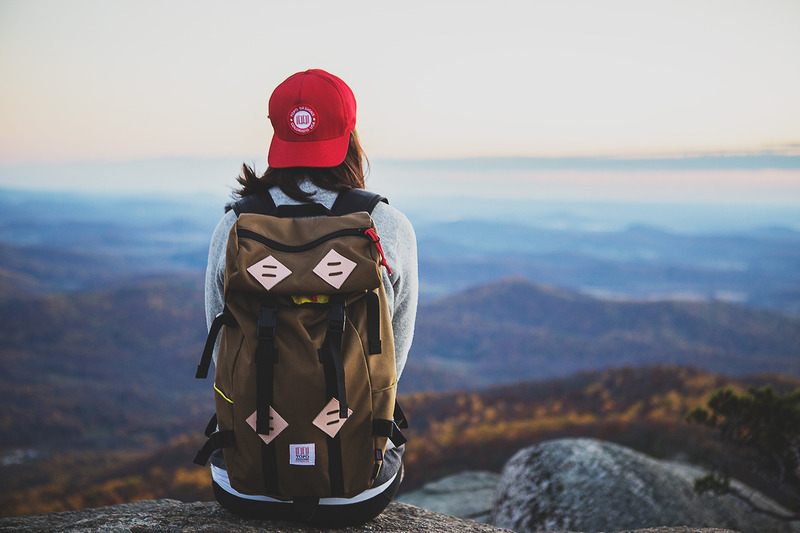 Even though she has no intention to change her career path, she believes these self-exploration activities help build herself and prepare her for future medical training in Germany. And she faces no objections from her parents to do whatever she wants and of which she claims she can take responsibility. Unlike others, they are supportive of their daughter’s choice – although her mother sometimes is concerned that she’s still single, and her level of education as well as her strong personality can hinder her way to marriage. “My mom raises me up to be strong and independent. She wants me to be like an ‘ideal Western woman’ who can do everything for herself. But at the same time,” Lam scoffs, “though I take on different projects now and then, do house chores, and run errands, she still wants to take care of everything for me”. “That’s very contradicting. But I guess every parent here acts that same way. They are trapped in traditional thoughts despite living in a modern time,” she enthuses. The 1990s marked the decade when globalization became visible in Vietnam: the economy decentralized; information technology arrived and very gradually became integrated into everyday life; the culture started to open up (again) to others. Given the background, Vietnamese women born during this era can boast more freedom to pursue personal interests and career aspirations compared to their mothers and grandmothers. However, a woman of Generation 9X, Lam admits she also finds herself caught up in between what is defined as traditional and what is as modern. Although she studied hard and has been looking forward to this April, when she will officially be a practicing pediatrician, she also hopes she would marry a man who can take care of everything for her. That then would make becoming a full-time stay-at-home mom an option. I ask how she would deal with being a full-time stay-at-home mom after almost all her life going places. She says she believes life changes, but more importantly, she strives for stability – which she hopes to achieve when she turns 30, at which point she would only focus on her small family. An avid reader who writes but chooses not to publish anywhere because she doesn’t want to influence any young adult even just tangentially when she’s still figuring out her path, she would be more open to reaching the public and to earning some income by writing by then. But even if she didn’t, she would find activities other than parenting and housekeeping to maintain her personal space. 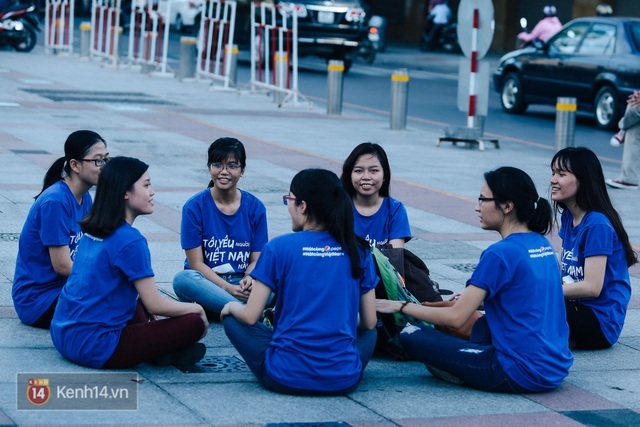 While information about Vietnamese youth available on the Internet is still limited, especially from a gender relation perspective, as of this writing, women’s issues also have gained attention. Apart from my personal interest in knowing how others are doing, I’m intrigued by the drive to uncover a so-called Vietnamese identity that numerous Vietnamese share and look forward to the change the youth could bring. Hằng Phan, 26, is a mother of a one-year-old son and a fitness trainer. She just got promoted to fifth-degree black belt in Taekwondo. She tells me getting married early haven’t changed her life much except for that sometimes she misses going phượt – traveling via scooters – the country with friends. But she also enjoys spending time with her son now. The days when she first returned to work after maternity leave were excruciating. Only wanted to be with her son, she often hid in a bathroom and cried. However, sharing the bread-winner responsibility with her husband, she’s endured that pain. In addition, her parents are supportive of their daughter and son-in-law, so they offer to take care of the small child during daytime when the young couple is working. Her husband, knowing her strong personality, also supports her choice to work outside the house though he still sometimes asks if she wants him to help find a more stable job. She’s competent for the office. Hằng says she doesn’t but perhaps soon will. Having a child now has changed her thoughts about life. Fitness training may seem an unstable job, but it ironically provides her more time to spend with her son than the otherwise she can think of. Besides, growing up an physically active individual, she doesn’t think working at an office would fit her. I caught up with Hoang L. via Skype in a February evening after I finished dinner and she breakfast. She told me she had enough time to reconsider her plan for a second bachelor’s degree, even though the deadline of her application to an acting program was imminent. Her recent promotion at work made the option to take independent acting classes more practical. Hoang L., 25, has been living in Canada since eleventh grade. One of the top students of her high school class, she headed on to study Finance at McGill University. She is one of the du học sinh, or international student, who decided to stay abroad to work instead of returning to Vietnam immediately. Hoang L. was excited to take a break to come back home after three years in the foreign land last summer, when we finally could catch up with each other in person. Although she studied hard and participated in different finance-related extracurricular activities, she confessed she didn’t enjoy the major and found it enervating. So, after graduated and landed a job related to her college major, she reflected upon her career choice and decided it’s time to move on. She amassed all the courage to tell her parents of her passion for acting and tried to get their support. But it wasn’t easy: her mother was concerned that having another degree would affect her chance to marriage. She’s now 25, a prime time not to miss. Her boyfriend had a stable job. They should think of the next stage for their relationship. It’s not an easy question, especially when she has been abroad for so long that she’s become more aware of her identity as a Vietnamese. On one hand, she has to figure out how to deal with reversed cultural shock whenever she returns home. On the other hand, she’s a Vietnamese. She misses her hometown in Hoi An, and the Vietnamese language she grew up with but strangely sounds different abroad and more oftentimes has become mashed up with English words. And that feeling of arrival. “You know what? I’m not sure about the possibilities of my future if I am to come back to Vietnam right now, but I immediately knew when our flight was arriving at Tan Son Nhat [International Airport] that… I’m home”, she shares. “Some daily interactions have bugged me since I returned [to Vietnam] because I don’t remember why people do certain things in certain ways. You know, like how relatives and friends would ask me constantly and consistently when I will get married and have children,” she tells me. We both burst into laughter, knowing that it’s too an issue for many other young, modern Vietnamese women who may or may not have traveled outside of Vietnam.